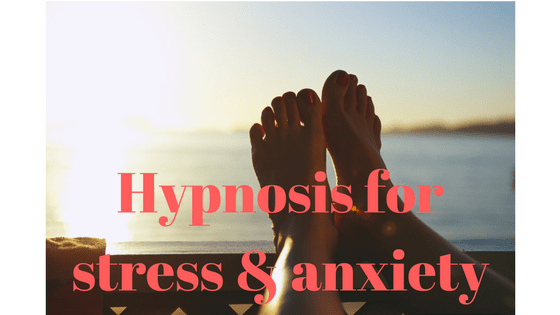 What is self hypnosis for stress and anxiety relief? Hypnosis is based on the fact that you're most receptive to new ideas and suggestions when your brain waves are in an alpha state (for example, right before you fall asleep and when you are very relaxed). 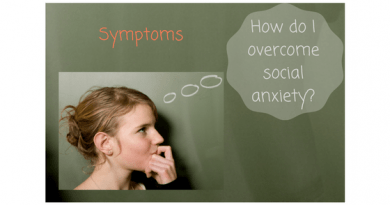 Once you're in that receptive state-of-mind, you can train your mind and nervous system to relax in situations that create anxiety for you. You do this by visualizing and rehearsing new behaviors (for example, successfully giving a speech), thereby re-training your mind and nervous system to automatically respond with more calm in these fearful situations. Hypnosis is very similar to guided imagery therapy. Both of these techniques use your mind and imagination to visualize yourself successfully behaving in situations with a new sense of calm and confidence. Both techniques literally condition your brain and nervous system to calm down in those situations. Does hypnosis make me lose control? When you do hypnosis by yourself or with a therapist, you are always in complete control. It's a myth that hypnosis puts you in a trance where you lose control. Movies that show hypnotists control people are fiction! What really happens is that you drift into an alpha wave state and you imagine yourself behaving in the way you want to behave. You can switch out of that state anytime. Hypnosis is for your benefit and is an opportunity to mentally practice new behaviors that you want for yourself. 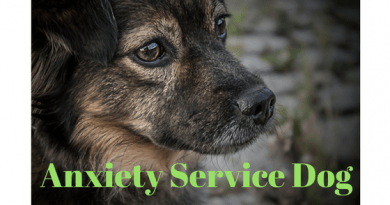 Click the link below to listen to a self-hypnosis for stress and anxiety relief program by yours truly. The program lasts just under 12 minutes. The first part of the program helps you relax and get your brain waves into a alpha state. The second part of the program is a guided rehearsal for a situation of your choosing. This is where you'll use your imagination to rehearse a situation where you want to be more calm. 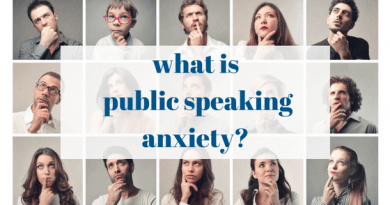 In the audio program below we talk about a public speaking scenario, but you can use any situation that makes you anxious. I personally have used this program many times before I speak in public. I listen to the full program before going to sleep 3 nights before, 2 nights before, 1 night before and the morning of my speech. It makes a huge difference in my confidence and performance. To make it work for yourself, you have to put in the effort to mentally rehearse the situation. The audio program will guide through step-by-step.